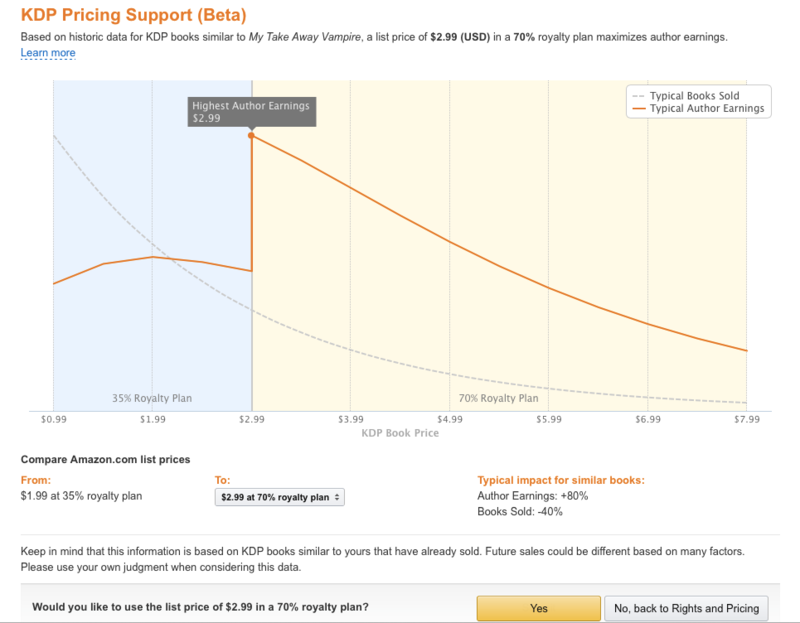 What Is Amazon Kindle Direct Publishing Price Support Beta? 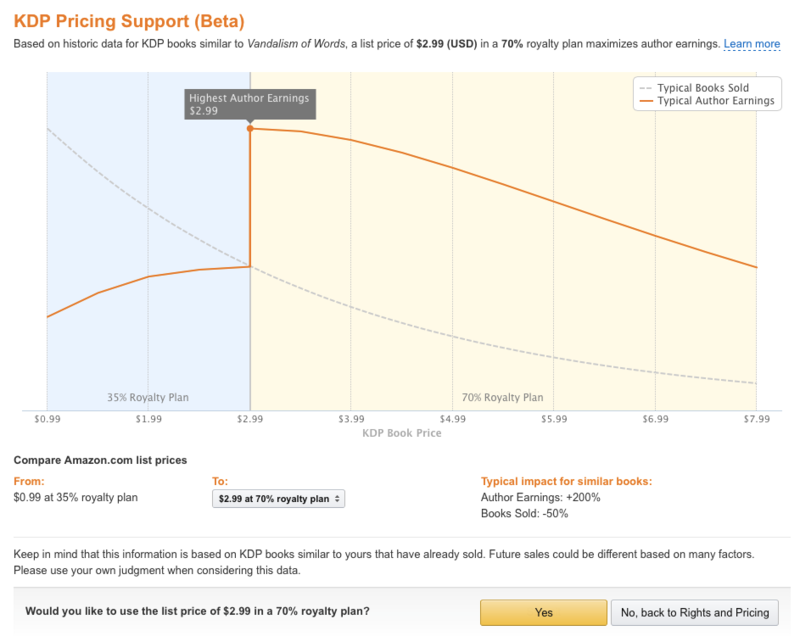 What is KDP Price Support Beta? 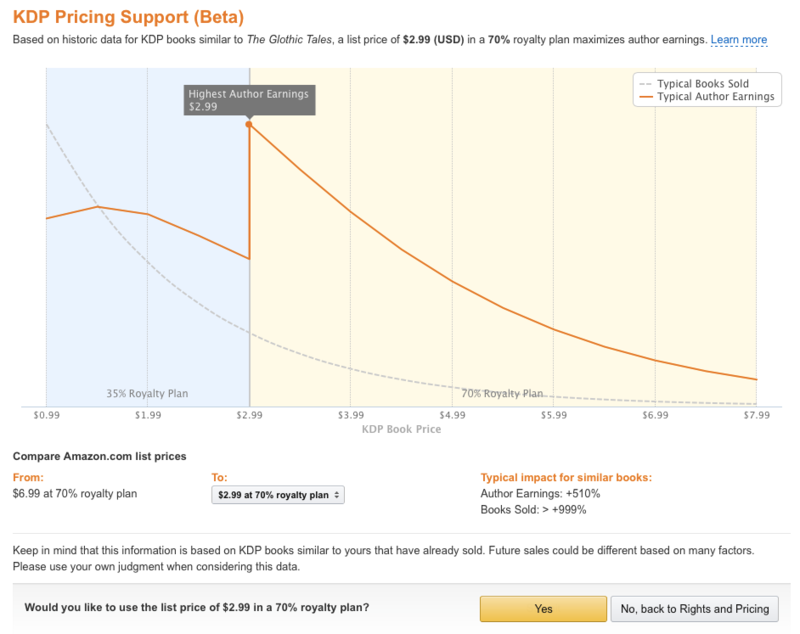 Amazon has a new service for authors using Kindle Direct Publishing (KDP) called KDP Price Support Beta. The best way to describe this service is by quoting from the KDP Help section. 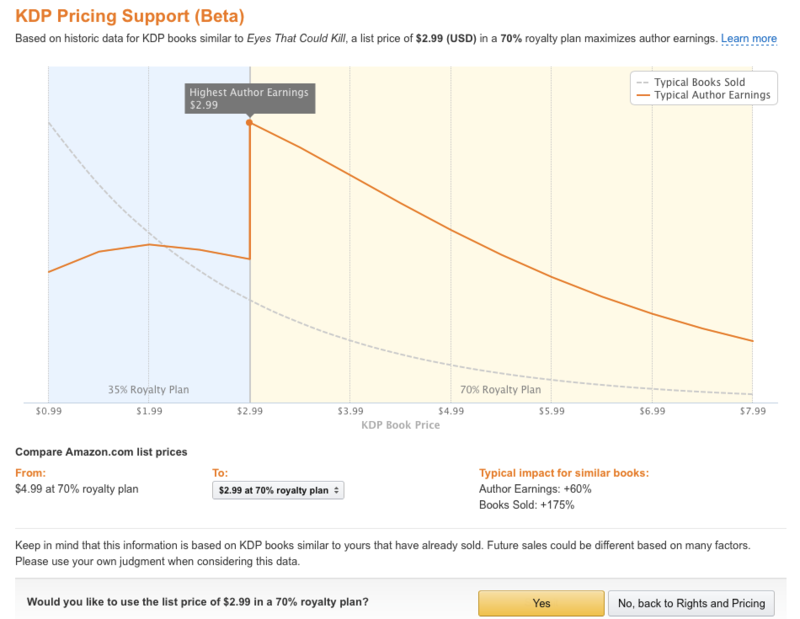 KDP Price Support Beta is based on a price elasticity model that is derived from past customer purchase data. A price elasticity model is a statistical model that measures how price changes affects demand. The data shows that customer reaction to price changes is often similar for books with similar values for attributes like category, customer reviews and ratings, author’s past sales, best seller rank and page count. As the price elasticity model evolves over time, you may see some of the attributes replaced, removed, added, or weighted differently. 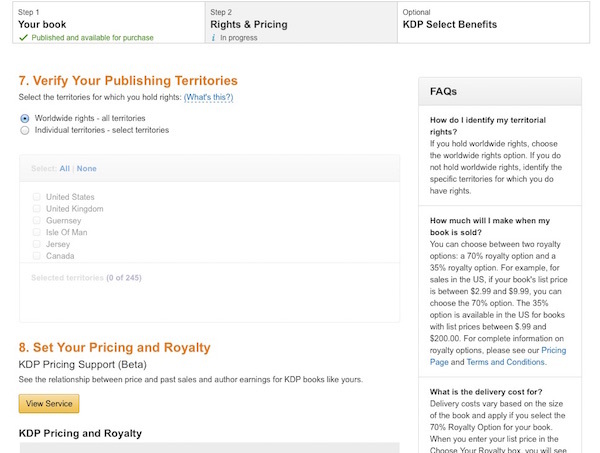 To access this new service, select a book from your bookshelf and then click on Rights & Pricing. Then click on the View Service button. While it sounds wonderful and should be helpful in understanding how to price e-books in relation to similar books, my experience has left me quite, well, undewhelmed for want of a better word. I looked at a number of my own titles that ranged from $0.99 up to $6.99. The first book I tried I have listed for $0.99 but is offered for free via Amazon’s Price Matching. 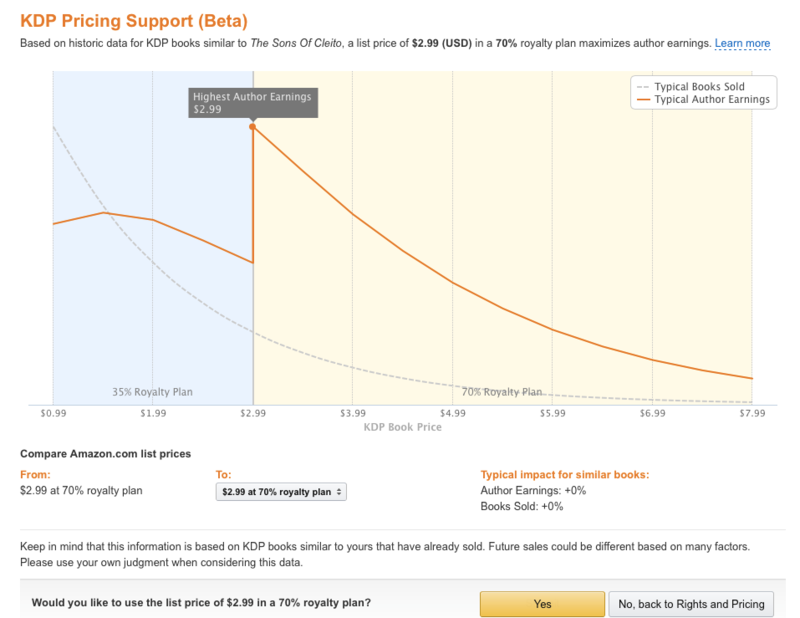 Here is the Pricing Support recommendation. $2.99. I then tried a short novella of 20k words listed at $1.99. The recommendation, $2.99. Now for a book of 80K words currently priced at $2.99. The recommendation, again, $2.99. Now for a full-length novel priced at $3.99. The recommendation, $2.99. At least there was something different here in that KDP Pricing Support suggested as this was the first book in a series that I should choose a lower price. Of course, I was getting very curious now to see if there was any other recommended price other than $2.99. So I tried a book I have priced at $4.99. Yet again the recommended price was $2.99. I had one last try with a book of around 200k words, which has a listed price of $6.99. Why wasn’t I surprised at the recommendation? Again, $2.99. 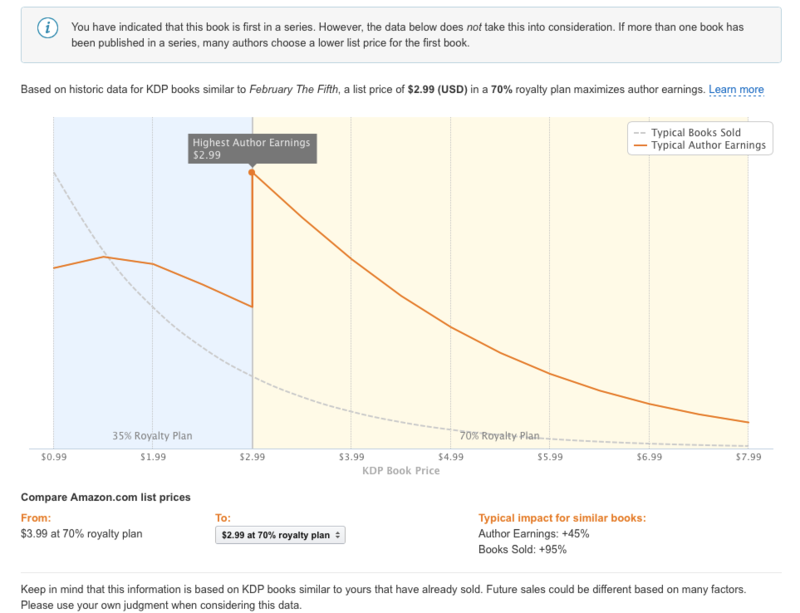 Well, after all this, I was left wondering exactly what this KDP Price Elasticity Model is. From my testing of it, I would hardly think it has any elasticity in it at all. For all of the algorithms using similar values for attributes like category, customer reviews and ratings, author’s past sales, best seller rank and page count, all it can return is the same repetitive graph and the same price of $2.99, over and over again. Sadly, it looks like yet another case of Amazon’s habitual tight-fisted attitude in sharing any data at all with KDP authors. If you want to waste some time you can try this service with your own books and see if you receive a price recommendation of anything other than $2.99.